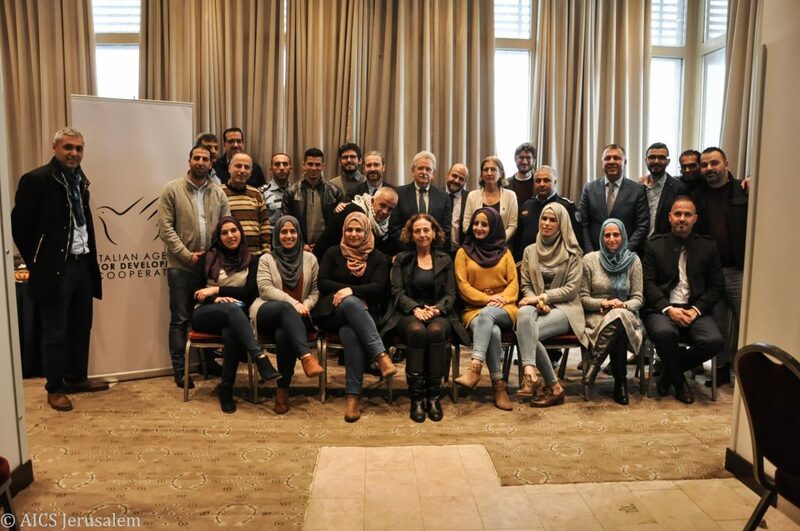 Ramallah, March 14th 2019 – An Italian delegation of the Guarantor of the rights of detainees and people without personal freedom and the Antigone Association paid a visit to Palestine in order to deliver an intensive three days of training, organized with the participation of Ministry of Justice’s officials and its partners, to present Italian best practices and methodologies adopted to monitor the respect of human rights in detention centers. This mission was implemented in the framework of the project “Karama: Towards a System that Respects human rights and Dignity”, funded by the Italian Agency for Development Cooperation in Jerusalem. It highlights the good cooperation in the justice sector started with another official visit to Italy, realized by the representatives of the Palestinian Ministry of Justice to their Italian counterpart in November 2014, related to the issue “Human rights and prison organization”. 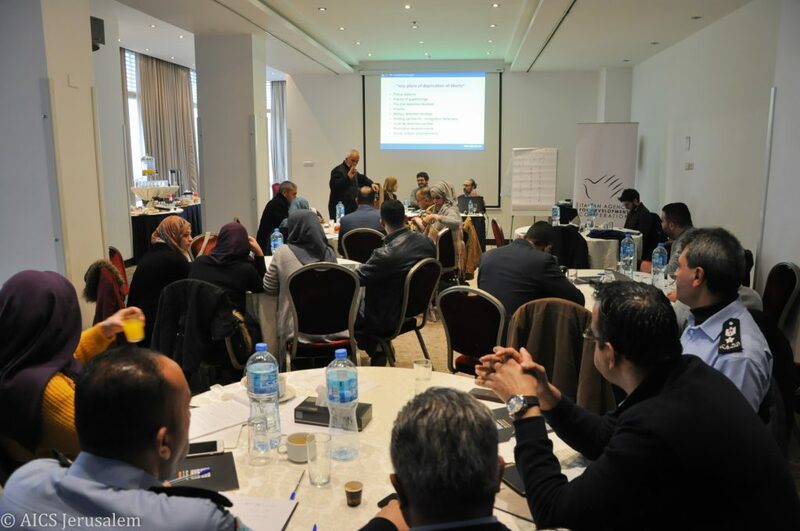 During the training sessions, the Italian experts Michele Miravalle and Susanna Marietti shared with Palestinian officials the Antigone’s experience in Italy and explored the different monitoring tools, through explanations and exercises. A specific focus was dedicated to the perspective of the management of prison, a class handled by Antigone President Patrizio Gonnella. The President of the Guarantor of the rights of the detainees Mauro Palma and the Responsible of external relationships Alessandro Albano also contributed to the training discussing the duties of a guarantee authority, with a special attention on the International Convention against Torture and its additional annexes, that the State of Palestine adopted and that include a monitoring global mechanism for prisons. President Palma and President Gonnella, with AICS Jerusalem Director Cristina Natoli, met the General Prosecutor Akram Alkahteb, that stressed in his remarks the excellent results achieved by Italy and Palestine in the field of the human rights. 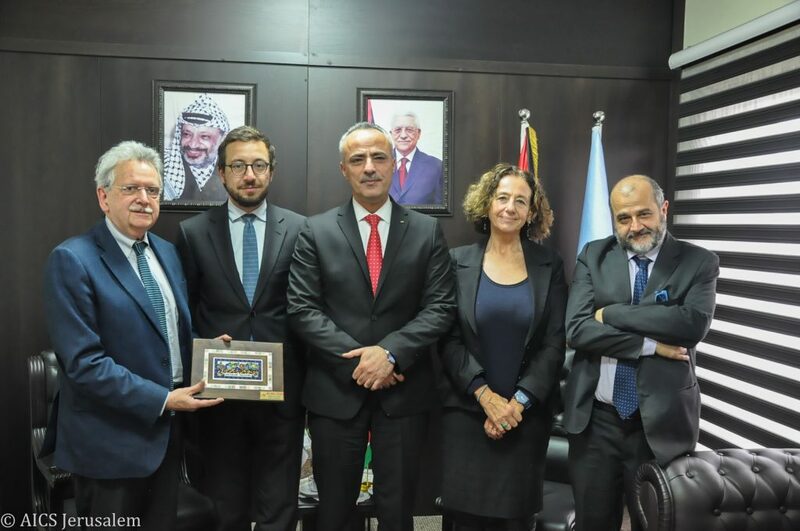 The Palestinian Minister of Justice Ali Abu Diak finally welcomed Palma, Gonnella and Natoli, together with the Consul Deputy of Italy in Jerusalem Luigi Mattirolo, thanking the Italian support to the establishment of the Human Rights Unit at the Ministry of Justice. During the meeting, Consul Mattirolo delivered a car as a gift to the Unit, granted by the project and required for the monitoring visits to the prisons.